Hi there! It's been kind of a theme to post what I'm working on, on Wednesday's. I have so many works in progress I can't even see straight!! 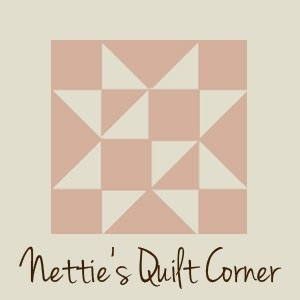 I don't know how I went from learning to quilt just a few months ago, to having several (6) quilts in progress. Sadly, most of them are under wraps and I can't show you! 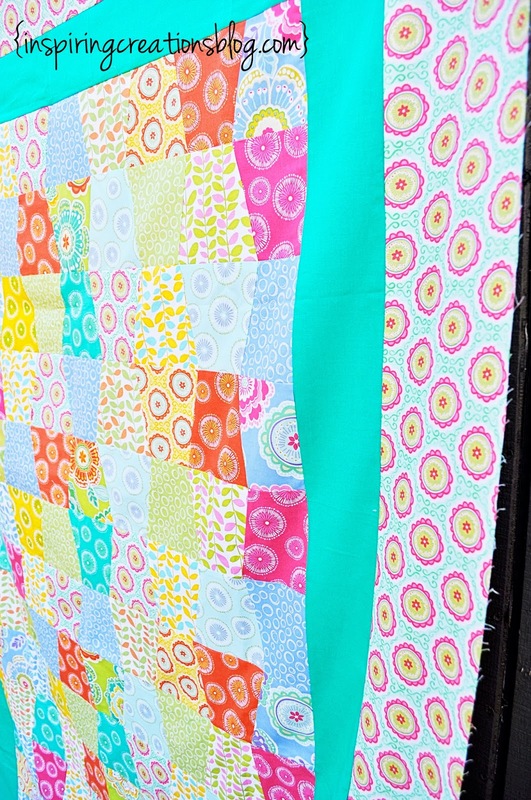 So instead, I'm excited to show you another great quilt my mom is working on! She has been hard at work making tumbler quilts! This is not my mom's style at all. She likes muted earthy tones that are more traditional. I however, love the bright and vibrant prints that just pop! So when she bought this fabric I was shocked! I love the colors and the bold patterns and colors of this line. I love the bright colors your mom picked out. Maybe you are influencing her. Top secret quilts are the worst aren't they. I have 3 Christmas quilts that I'm dying to show off but I gotta keep em off the Internet till Dec 26th. I feel like we'll all have the most photo rich posts the day after Christmas huh? Your Mom's quilt is lovely. Those fabrics are just so charming. It's fun to step outside your normal color palette sometimes. 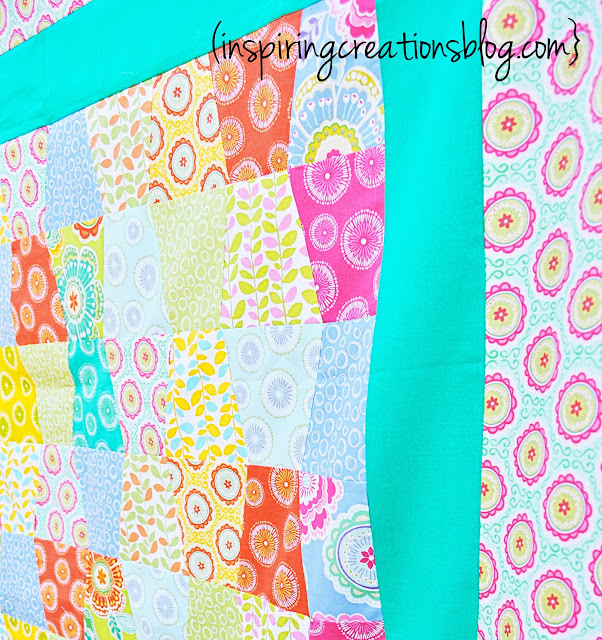 I love the bright colors and have always wanted to make stumbler like this. Thanks for sharing. your mom made a good choice when she stepped outside her color box! it's very pretty and looks so fresh between the pattern and palette. good job, mom! The colors are awesome! 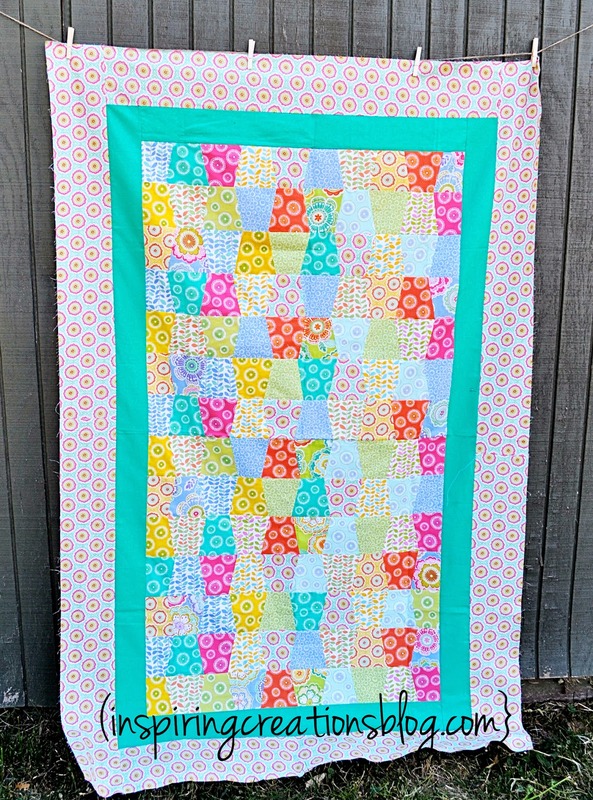 That is going to be one cute quilt. Looking forward to seeing it finished.